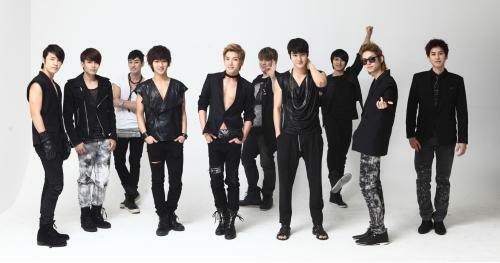 Super Junior ‘s Bonamana MV on youtube was being hacked for a few hours? Super Junior’s MV was hacked? Yes, we received news this early morning that the comments under the video could not be viewed all of a sudden. 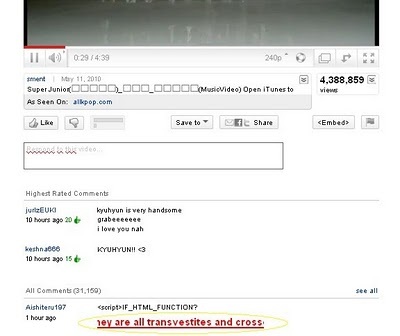 The hackers was believed to be aishiteru197 and weaboochan and they wrote ‘they are all transvestites and crossdressers’. After those comments, other comments were not able to be viewed. Well, although it was being hacked for a few hours, the problem was quickly fixed and the comments could be seen now. It was also known that these hackers go around to hack videos so please be careful and make sure, they don’t input any virus into your computer. 2AM releases No.1 MV for Fifa World Cup! After so much teasing in the past few weeks, and releasing the full song earlier today together with some video snippets, the Caribbean Bay MV is finally out. It is based on the concept of “Who will be the hottest Cabi?” and shows the love story and hot passions of young individuals in a dramatic story. chek it out below!